An eclipse is defined as an astronomical event in which one celestial object moves into the shadow of another. Although any planet or moon can be involved in an eclipse, here on earth our energetic lives are dramatically shifted during lunar and solar eclipses. A solar eclipse occurs during a new moon when the moon aligns with the one of the nodes and blocks the full light of the sun from the earth, creating a darken daytime sky, and literally shifting the light patterns of the sun. 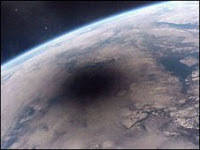 The shadows that are cast on the earth during this time are a carbon copy of the eclipse above. It is rather surreal, and thus associated with psychological disturbances, shadow issues, and fear. A lunar eclipse occurs during a full moon and has a less dramatic effect on light patterns, but does create an eerie red glow on the full moon. Its psychic effects are unpredictable ranging from the gift of new insight to the release of repressed emotions. Because of their ability to swallow the sun (the light of the soul and source of life itself) and moon (the reflected light of consciousness) and then return them imprinted with new information, the nodes are associated with death and rebirth, and thus indicators of karma. The North and South Nodes of the moon describe points where the moon crosses the ecliptic, the sun's path in the sky. The ascending node, called Rahu in Vedic astrology, is where the moon crosses to the north of the ecliptic. The descending node, called Ketu, is where it crosses to the south. Rahu is the head of the dragon, and Ketu is the tail. 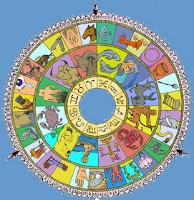 In Vedic astrology they are assigned the status of planets, or chayya grahas, shadow planets. Rahu is sometimes described as the enemy of the moon, or negative Moon. Rahu as Negative Moon brings negative mental states such as psychosis, paranoia, illusion and trance. Ketu is the enemy of the Sun, and as the Negative Sun may bring self-doubt, lack of confidence and self worth, or its opposite megalomania. There are many allegorical stories about the lunar nodes. In Hindu mythology, Rahu is a snake that swallows the sun or the moon causing eclipses. According to legend, the asura Rahu drank some of the divine nectar of immortality. Before the nectar could pass his throat, Vishnu/Mohini cut off his head. The head, however, remained immortal as it had already tasted the divine elixir. 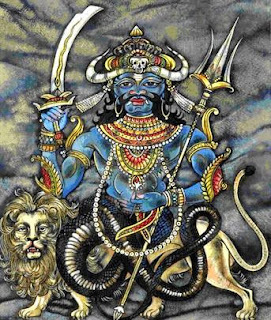 Because of its desire for divine nectar, Rahu is associated with intoxication and is an indicator of obsession with power and fame (immortality). Rahu on a physical plane gives insatiable desire to achieve, to conquer, and to possess. Ketu is what remains of the body of Rahu, the headless tail. The lost head symbolizes the loss of the thinking mind. The headless body may also represent an enlightened being who is freed from the thinking mind. As opposed to Rahu's affliction of the mind, Ketu can afflict the body. It is a moksha-karaka, indicator of liberation from the cycle of birth and death. Ketu can bestow great insight and healing ability, or it may place obstacles that ultimately change how one thinks. 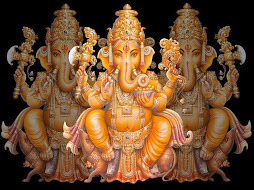 It brings spiritual tendencies, ascetism and nonattachment to worldly desires and ambitions, and it balances the materialistic compulsion of Rahu with its impulse to enlightenment. 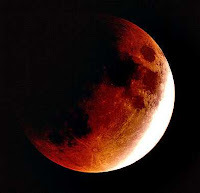 The first eclipse in July is an out-of-sign partial lunar eclipse in which Rahu nibbles on the full Moon in Sagittarius -- but the astrological alignment with the Moon and Rahu in the same sign of Capricorn occurs 12 hours later, during apogee, the annual point at which the moon is furthest from the earth. In May of 2009 a fascinating series of crop circles appeared that suggest increased solar flare activity complete with coronal mass projections (CME) will occur at this time. Please see the May 17th Astro Weather post for more information. As this is a Rahu eclipse of the Moon, we may expect to see increased negative mental states. If the predicted CMEs are large enough to burn out satellites, its effects on communication could certainly give rise to fear. And guess who is traveling during this time? 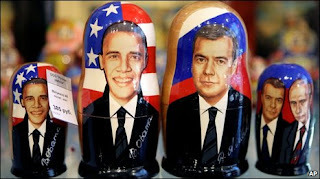 The President leaves on Monday for a two day trip to Moscow during this eclipse to discuss nuclear disarmament. Secretary Clinton is skipping the trip for unrevealed reasons, but probably due to her recent elbow break. Smart lady. The solar eclipse that will take place on Wednesday, July 21/22, 2009 will be a total eclipse of the Sun with a magnitude of 1.080. It will be visible from a narrow corridor through northern India, eastern Nepal, northern Bangladesh, Bhutan, the northern tip of Myanmar, central China and the Pacific Ocean, including the Ryukyu Islands, Marshall Islands and Kiribati. This solar eclipse is the longest total solar eclipse that will occur in the twenty-first century, and will not be surpassed in duration until June 13, 2132. One of the research projects that will be keeping a close eye, and ear, on this event is led by heliologist Dr Hari Om Vats who will be studying shadow bands that occur before and after a solar eclipse. A shadow band is the play of light and shadow preceding and succeeding a total solar eclipse noticed from earth. There is a theory that suggests that shadow bands are not just visual events but also sonic, as the moon is believed to move at a supersonic speed, creating various sound waves during the solar eclipse. If shadow bands are a sonic event, it is yet to be proved, as it is not the moon but its shadow that moves at a supersonic speed during the time of eclipse. This eclipse is a Ketu eclipse in the eighth nakshatra Pushya, and it occurs in the 8th house with Mercury. Pushya resides in the sign of Cancer, and contains three faint stars (see Starsyncs for compelling RNC image). It is symbolized by the udder of a cow reflecting the nourishing quality of this asterism. It is one of the most auspicious of all the lunar mansions with brahmavarchasa shakti, the power to create spiritual energy. As Ketu is a moksha karaka, or indicator of enlightenment, its power during this eclipse may be to release this spiritual energy; or as Ketu is the enemy of the Sun, it may release a solar archetype, like a king or leader. The line up in the 8th house also suggests a death or major loss. Although this eclipse period promises to be intense, it is important to remember not to get caught up in the drama of any karmic release. My teacher used to say that during a solar eclipse, notice the stars when the Sun is obscured. The stars are the issues that are always there, but can't be seen in the light of day. In other words, significant information, and even revelation, may occur when the dragons head and tail meet the Sun and Moon. Observe and wait, and ride the waves when they come. You may have an interesting ride. Sarah Palin just resigned her governship a few days before the Rahu lunar eclipse across her natal ascendant, Sun, Moon -- the chart ruler, and Mercury. No doubt some political scandal may be revealed under the eclipse period. 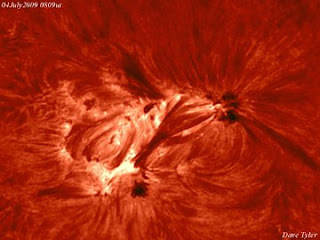 UPDATE: The most active sunspot of the year so far is emerging in the sun's southern hemisphere. Sunspot 1024 has at least a dozen individual dark cores and it is crackling with B-class solar flares. Somethings brewing! Map Three people have been killed and more than 20 injured in violence in the city of Urumqi in China's restive Xinjiang region, state media says. and my fav . . .
Notice the solar/lunar image -- and the name of Columbia's campus magazine, Sundial. Yes, Chris, I do feel the unrest in China may escalate closer to the solar eclipse as it will be most felt in Asia. Michael Jackson Memorial. 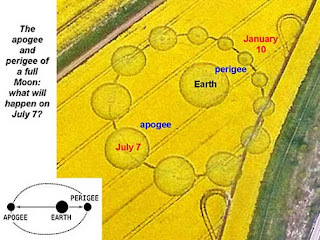 As well as this article from the Honolulu Exopolitics Examiner: Crop Circle depicts solar eruptions hitting Earth on July 7. Wow!! Interesting send off under a lunar eclipse. . . Rahu intensifies and amplifies things. . .
Rahu as Negative Moon brings negative mental states illusion and trance -- and effects those under mind control. I wonder if the unrest in Western China can be pinned on the approaching eclipse. My incorrigible rational mind wants to wait until the 21st and see what transpires afterwards there. Yes, Chris, Asia will certainly feel the effects of the eclipse more strongly than the rest of the planet as it is at its height very nearby. My anticipation is also escalating as the lunar eclipse certainly provided a preview to what my occur. I also just saw there was an earthquake there that destroyed 10,000 homes.